Scheduled public tours run every Monday, Thursday, and Saturday from April to October. Pick up time is 8:30 a.m. Private tours run daily with a 2 person minimum. 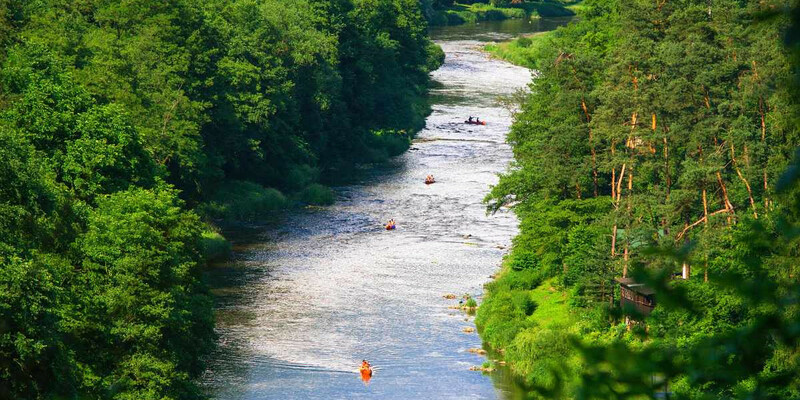 The canoeing tour is perfect for families. Kids should be 4 years or older to join the group. For both tours, you will be picked up and dropped off at your accommodation. You don't need any special gear for this trip. In case of very low temperature and rainy weather, we recommend the use of wetsuit which we get for you upon request. The payment is fully refundable if you cancel until 24 hours before the tour. For later cancellations there is no refund. 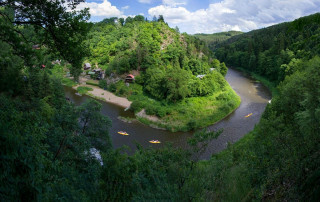 Leave the city behind and discover a deep gorge carved out by the Sazava River. 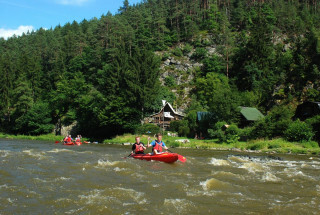 After 15 years of leading outdoor activities around Prague, we can say this is the most outstanding one-day adventure around. 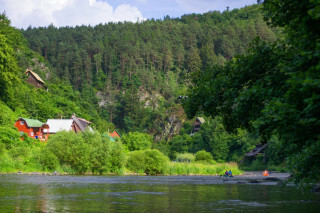 Enter a new world of green dense forests and dramatic rocks surrounding the ravine, along with little cabins built by locals in the late 20th century during the communist era. The guide gives you detailed instructions at the beginning of the trip to test out steering the Canadian-style canoe on flat water. Of course, your guide will be there for you whenever you need assistance, though most beginners feel confident after a few strokes of the paddle. We adventure down the water for 4-5 hours, enjoying the crisp, fresh air and the dense forests. We take a few breaks to rest, and we stop for lunch in one of the small villages settled along the ravine. The voyage back to the city is just as incredible as the trip itself. On a local train, we weave through rocky terrain with some impressive stone viaducts along the railway. If you don’t have a head for heights, you better not look out the window! 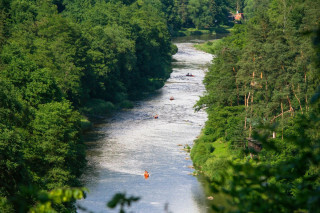 The nature of the Sazava River leaves you refreshed and the canoeing adventure leaves you with an experience you won’t forget.